﻿ Carlos Santillana: "Cristiano Ronaldo is more versatile than Lionel Messi"
09.03.2012 » Santillana: "Cristiano Ronaldo is more versatile than Lionel Messi"
Real Madrid legendary attacking forward, Carlos Santillana, granted a rare interview to the Portuguese newspaper "O Jogo", and he revealed his preference for Cristiano Ronaldo, over Barcelona's Lionel Messi. The former Spanish international player noted that Ronaldo is a more versatile player than Messi, which allows him to not depend on his teammates to score goals. 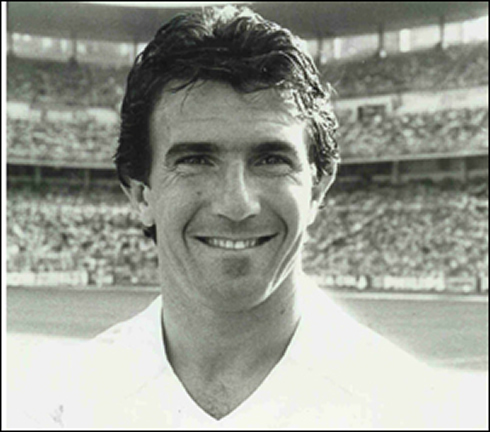 Carlos Alonso González, also known as Santillana, is still one of the greatest legends of Real Madrid's history. The former Spanish forward granted an interview to a Portuguese newspaper called "O Jogo" and couldn't to help to discuss what makes Cristiano Ronaldo a more all-rounded player than Barcelona's Lionel Messi. In what seems to be a neverending debate between the two uncontested best players in the World these days, Santillana casted his vote on the Portuguese star Cristiano Ronaldo and pointed his ability to single handedly score goals without the need of anyone else, as one of the decisive factors to unbalance the comparison being made. Santillana has been one of the most prolific strikers in Real Madrid history. He played for the club between 1971 and 1988, had 645 appearences and an impressive 289 goals count! Santillana still holds the 3rd place for the highest overall goalscorer of all-time in Real Madrid, only behind Di Stéfano (305) and Raúl (323). With only 2 seasons and a half, Cristiano Ronaldo is ranked 11th already, with an outstanding record of 126 games and 124 goals. We then slightly reshaped this table, by introducing data for the amount of games played by each player, as well as an "average goals per season" and "average goals per game" ratios, but we maintained the same 11 players from the list above. We sorted it by the "Average Goals per season" ratio and it's now undoubtedly easier to realize how impressive Cristiano Ronaldo stats are, even when compared with the greatest names in the Real Madrid's history, as it is the case of Santillana. What makes it even more remarkable is that Ronaldo's average of 41 goals per season will most likely still increase, as no one expects him to stop scoring in the upcoming games of the current season. Real Madrid goalscorers - Sorted by "average goals per season"
Returning to Santillana's interview, we can now easily understand a few of his statements given further on, such as the one claiming that Cristiano Ronaldo is already among the best in Real Madrid's history, despite having only played 2 seasons and a half for the Merengues (2009-2012). Santillana: "Cristiano Ronaldo has characteristics that no other forward in the World has. Even Hugo Sánchez or myself for example, who were able to score plenty of goals, depended a lot on our teammates to set us up with plays. Most of our goals came from easy finishes after good assists. In the other hand, Ronaldo uses all his power and speed to score goals, and all on his own. You can put him 50 meters away from the opponent's goal and he'll still score goals", stressed out Carlos Santillana, also known as "El Puma" back in his glory days. However, the observation doesn't seem to be very accurate, as it is indeed true that a reasonable amount of Ronaldo goals also come from tap-ins or penalty kicks. Carlos Santillana: "Ronaldo shoots tremendously well and he does it with both feet. He's an extraordinary athlete, with an outstanding physique that allows him to jump really high when necessary and take advantage of his great heading game. Cristiano Ronaldo is truly the definition of a complete player", pointed out "El Puma", when still analysing CR7's game versatility. 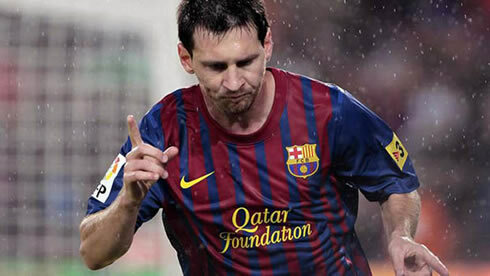 Unsurprisingly, when asked to compare Cristiano Ronaldo and Lionel Messi, the former Spanish striker had no doubts in affirming that the Portuguese is more complete than the Argentinian, even though he left some big praises to Barcelona's ace. Santillana: "Ronaldo is indeed more complete than Messi, but I believe that the Argentinian has a higher technique level when it comes to control and run with the ball at top speed. He's definitely a genius, but even so, I think Ronaldo is a better goalscorer", reinforced Santillana, alluding to the incredible nose for goal that Ronaldo has been showing in Real Madrid, which we already analysed before, when looking at the stats table located on the top of this article. Even though Santillana said that he doesn't like comparing players from different times, he couldn't resist to affirm that, by looking at Cristiano Ronaldo individual performance levels, he's already among the greatest legends of Real Madrid's history. Carlos Santillana: "I would prefer not to start making those kind of comparisons, because they don't seem to me, as a very fair way look at things. Every season has its own particularities and it's no surprise to anyone when someone says that football has evolved a lot over time." "El Puma" would then expand his thoughts. Santillana: "In my opinion, Alfredo Di Stéfano was the best of his time and then we have names such as Pelé, Cruyff, or Maradona... Each one of them was the best player in the World at a specific given time. These days, I believe that Cristiano Ronaldo can compete toe-by-toe with Lionel Messi, for the best player in the World award. In my view, that's the only fair approach we can have, when comparing players. 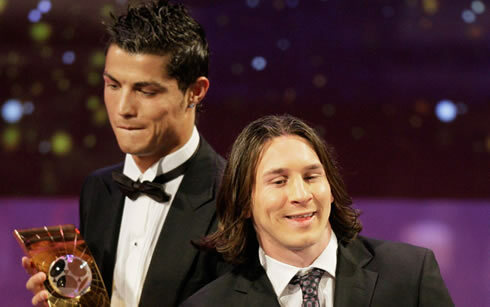 I also agree that over the last half dozen years, Ronaldo and Messi have indeed been the best in this game", stated the former Real Madrid player, noting that the Portuguese and Argentinian are marking an epoch in football. Santillana: "However, when we look exclusively at Cristiano Ronaldo individual stats, I have absolutely no doubts in affirming that he is already among the biggest legends of Real Madrid's history. 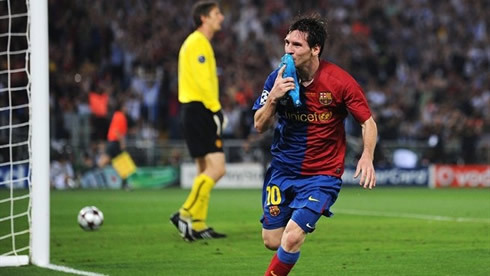 He can be regarded as one of the best players that has ever played for the club, as he has been extraordinary so far, scoring goals after goals since the day he arrived. The only thing he needs is to win more titles, because that's the most important thing in a club such as Real Madrid. Santillana: "He has only won the Copa del Rey since he joined the Merengues, but I'm confident he'll add a La Liga trophy at the end of this season and hopefully, also the UEFA Champions League! Ronaldo's form has been incredibly regular and he's certainly the best alongside Messi these days. However, if we reach the end of the season without Real Madrid winning any title at all, it won't matter if Ronaldo pulls off the same stats as Messi or even better, because the awards will be handed to the Argentinian...", concluded Santillana. 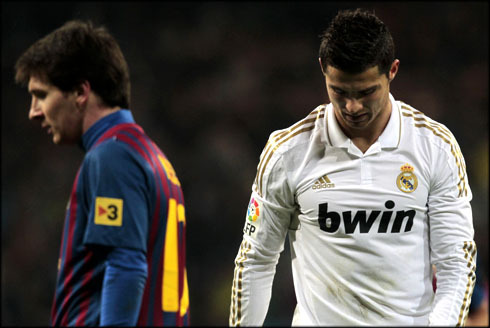 Real Madrid next match is against Betis for La Liga, in Sevilla, next Saturday (10-03-2012). This Saturday, you may watch Betis vs Real Madrid online, Chelsea vs Stoke live, Sunderland vs Liverpool free and Everton vs Tottenham, all from our football live streams section. 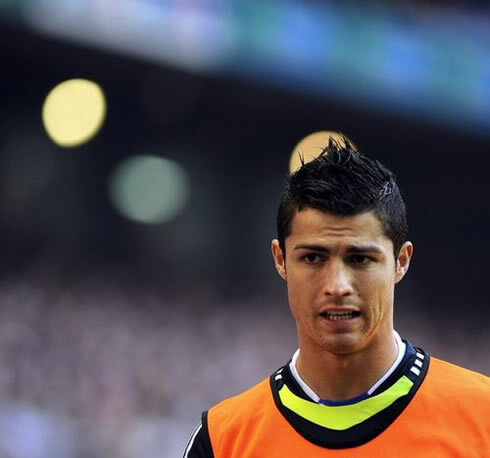 Cristiano Ronaldo is expected to be a starter in Real Madrid visit to Betis, this Saturday.